At what age do you start taking students? We take children ages 4 and up as long as they can stay in a room without a parent/guardian present. What is appropriate to wear to dance class? Does my child need specific shoes or uniform? Dancers must wear athletic wear ie: shorts, t-shirts, leggings. For girls, black ballet slippers are fine for beginners but after the first year and a half we recommend Irish gillies. For boys, black jazz shoes for the first year and a half and then purchase boy reel shoes. We will notify you when it is time to purchase hard shoes. Are there any events that happen through the year? Yes, we do have shows in the month of March around the St. Patrick's Day season, we do participate in the Hartford St. Patrick's Day Parade and we have an end of the year recital in May. How many classes does my child have to take a week? Most of our students take one class a week each semester, it is not required to take anymore than one. 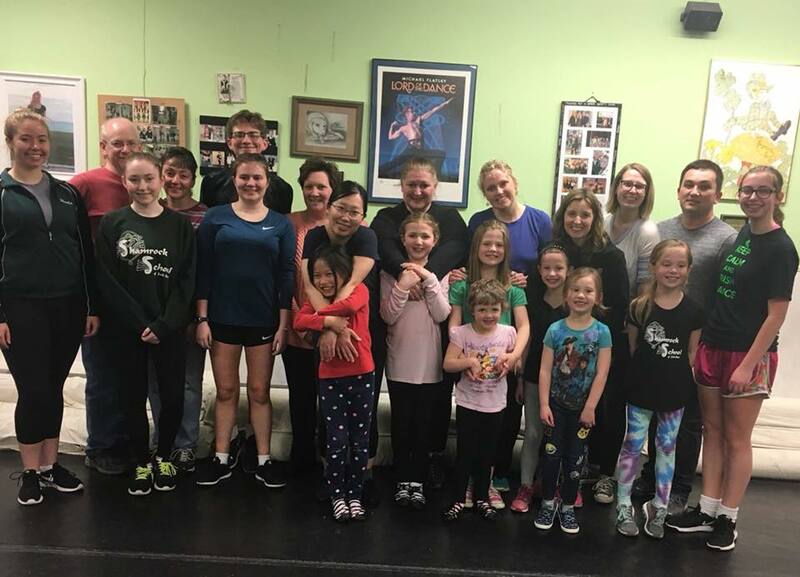 But if your child becomes more interested in Irish dance and would like to start competing, we do recommend taking a second class or pairing one class with a private lesson. The children retain more information and comprehend material a lot faster when they take more than one class a week. From holiday parties to St. Patrick Day performances, the Shamrock School always puts fun first.